Doritos Loaded just got a little easier to find: Frito-Lay has rolled out the frozen packaged version of the cheesy snack to major retailers nationwide. Doritos Loaded features bite-sized, triangular snacks with a core of melted cheese and a crispy Doritos-flavored crust. They were first introduced back in 2014 as a 7-Eleven exclusive and were spotted last year at Walmart in a frozen version. 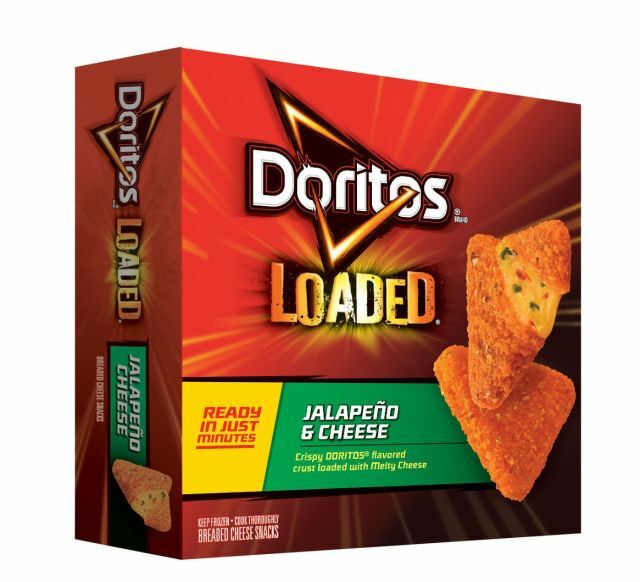 The packaged version comes in two flavors: Nacho Cheese and Jalapeno & Cheese. You can find them in 7.5-oz and 15-oz boxes for a suggested retail price ranging $2.98 to $3.49 and $4.98 to $5.79, respectively.